With portability and mobility being important features for many devices today, people always seem to prefer them over bigger and supposedly better gadgets out there. Wireless speakers for example have become quite popular because people find them easy to use without the wires and convenient to carry around. People now have lots of choices when it comes to wireless speakers. The new Transit XS Mounted Speaker from Soen Audio is just one of them. The Soen Audio Transit XS Mountable Speaker is a portable Bluetooth speaker that users can mount on practically anywhere. It features a mounting system that allows the speaker to be mounted on any 1/4- to 20-inch mounting bracket found in standard tripod and camera mounting gear. The Transit XS Bluetooth speaker also comes with a belt clip that allows users to wear the speaker if they so wish. It can also easily be mounted on a bike for those who love to enjoy biking while accompanied with their favorite tunes. The mounting system also allows users to attach it to practically anywhere, be it a tree, railing, or pipe. The Transit XS Mountable Speaker is a one-inch thin, 2.5 inches tall and 6.25-inch wide speaker. It weighs just 0.6 pounds, portable enough to bring along anywhere and yet packs a punch in terms of audio output. Rich sound delivered by advanced Soen technologies allows users to enjoy theater sound in very thin speakers. 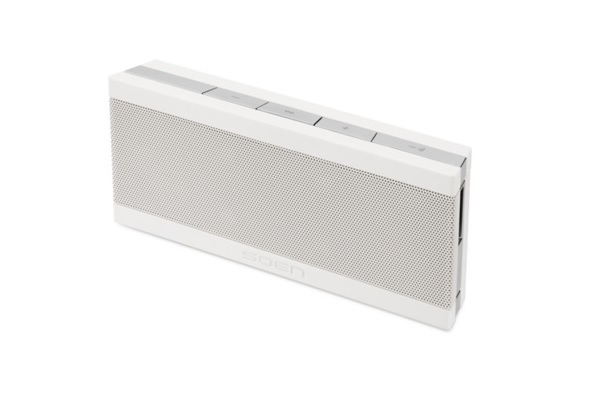 The Transit XS Mountable Speaker also comes with Soen Precise Talk technology makes it an ideal speakerphone since it removes the ambient sound and enhances your voice. It is an ideal companion for your Apple devices. It also comes with a 3.5mm audio jack for non-Bluetooth audio players. The Transit XS Mountable Speaker comes with rechargeable battery that can go as long as 8 hours on wireless audio. 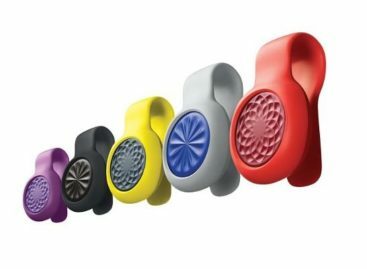 Over-molded rubber grips on the speaker provides protection for drops and scratches. The Transit XS Mountable Speaker is now available at the Apple Store for $130.